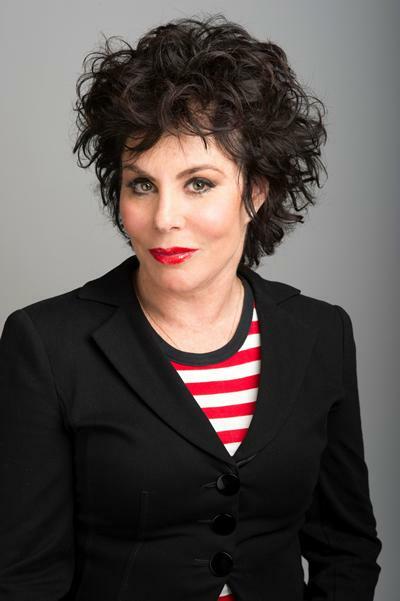 Ruby Wax, OBE, will commence her duties as Chancellor from 1 May 2019. The University of Southampton is pleased to announce that actor, author and leading mental health campaigner Ruby Wax, OBE, has been appointed as Chancellor. As Chancellor, Ms Wax will play a leading ambassadorial role for the University through activities linked to the institution’s strategy. She will also preside over graduation ceremonies and play an active role in other aspects of the University’s development. Ms Wax will commence her duties as Chancellor from 1 May 2019. She succeeds Dame Helen Alexander who served the University from 2011 until her death from cancer in 2017. Best known for her extensive comedy and documentary work on television, Ms Wax is also well-known as a major advocate for mental health, bringing issues to the foreground in Parliament, and other fora, through her role as Patron for the British Neuroscience Association and as an ambassador for the charities MIND and SANE. It is through her services to mental health that Ms Wax was awarded an OBE in 2015. Following her own experience of clinical depression, which she has made public through her writing and performing in an effort to help others, Ms Wax studied for a Master’s degree in Mindfulness-based Cognitive Therapy at the University of Oxford. As Visiting Professor in Mental Health Nursing at the University of Surrey, she contributes to research, curriculum development, teaching and public engagement. Ms Wax has now written three books including the number one bestseller Sane New World: Taming the Mind. Her latest UK tour is based on her newest best-selling book, How to be Human: The Manual. “I’m thrilled and honoured to take up the role of Chancellor for the University of Southampton,” said Ms Wax. “I’m looking forward to getting to know more about the University and particularly keen to engage with Southampton’s students, staff and graduates across its wide range of subjects and activities which I find inspiring. “I also hope to engage the University community more closely in my activities focused on mental health so that together we can explore how to overcome the stigma of mental health in society, especially amongst younger generations,” she added. Originally from the United States, Ms Wax first gained public attention in the UK during the 1980s as a comedian, presenting documentaries for television including Ruby Wax Meets . . . and serving as script editor on the popular series Absolutely Fabulous.